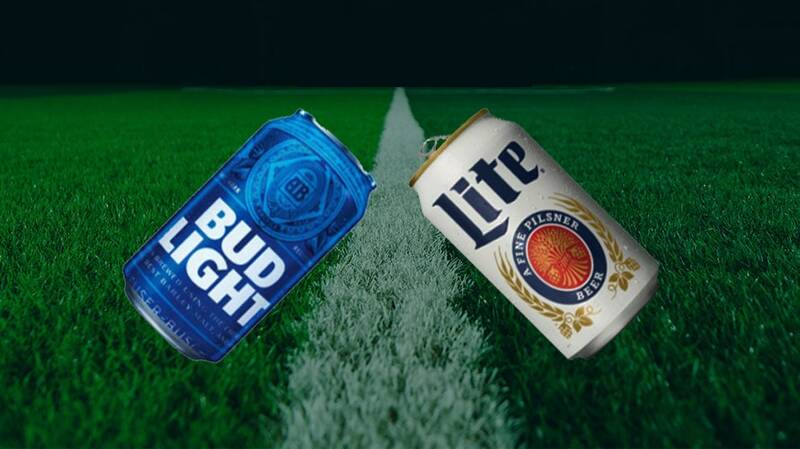 As part of a Super Bowl strategy that involved placing an ad in each quarter of the game, Bud Light utilized its medieval universe to point out that competitor Miller Lite utilizes “corn syrup” in two separate Super Bowl ads. 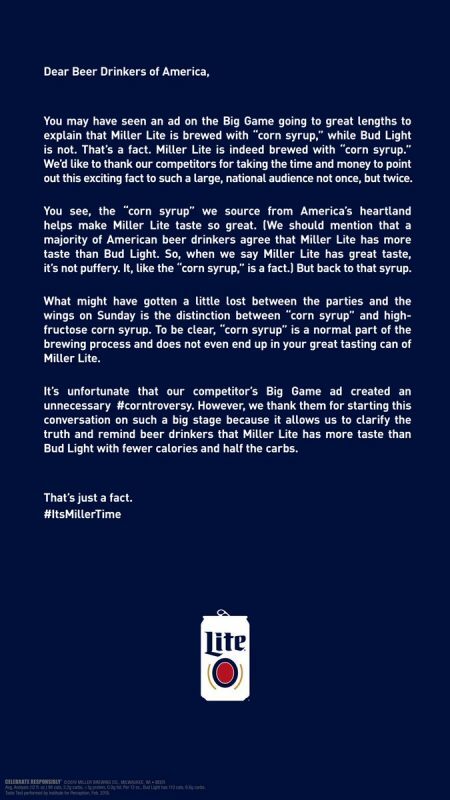 Today, Miller Lite responded with a full-page ad in The New York Times. It also acknowledged that while Bud Light does not use corn syrup in the brewing process, Anheuser-Busch In-Bev does use the product in “certain value brands.” The Belgium-based company also noted that it sources most of its ingredients from U.S. farms. Bud Light’s campaign has always been about transparency and giving consumers what they want. We’re glad that other brewers have joined us in this conversation. Increased transparency can only be good for beer. While Bud Light has never used corn syrup, Anheuser-Busch does use it in certain value brands, which are driven by price. Anheuser-Busch proudly supports farmers and the agricultural community. We source our ingredients from U.S. farmers, including 98 percent of our barley, 100 percent of our rice and all of our corn. Last year, Anheuser-Busch purchased more than 1 billion pounds of corn ingredients. We fully support corn growers and will continue to invest in the corn industry. Erik Oster is a staff writer for Adweek.